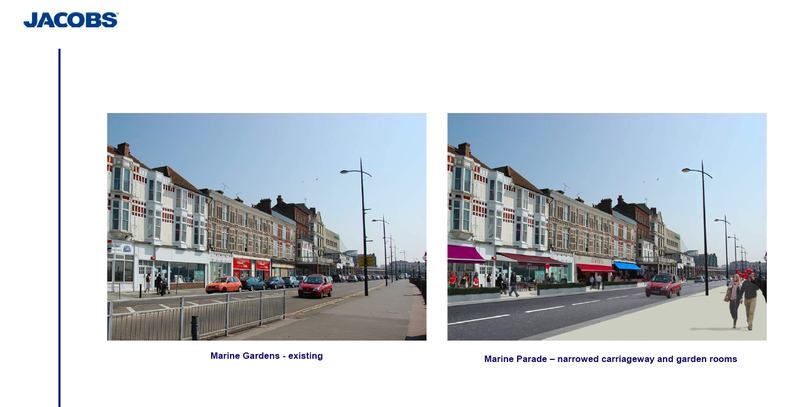 Not heard about the plans for a more pedestrian friendly Margate seafront? It could be because the authorities don’t talk about it anymore. It was referred to by KCC’s Highways Officer in the Arlington Tesco Planning Report from June 2012 as the ‘approved scheme’. The scheme is referred to as ‘The Jacobs’ Report’. You might have trouble finding it on KCC or TDC’s website. So we have a handy copy here on the documents section of our website to download here. 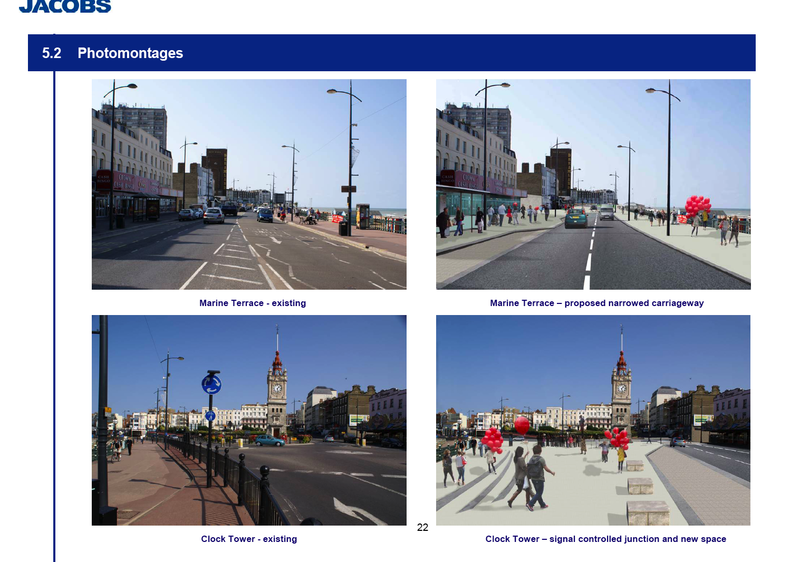 The Jacobs’ Report was the culmination of over a year’s public consultation in Margate. Many of us attended workshops for hours. It was the vision for what Margate seafront could and should be after Turner Contemporary opened. Here are some pictures from the report. Now the plans for the mega Tesco look in doubt, it’s time to start looking at a sustainable alternative. This entry was posted in News and tagged Jacobs Report, Tesco by arlingtonhsmarg. Bookmark the permalink.